Divided Empire is the first novel in a series of novels about the adventures of Flavius Vitulasius and his friend and family. The geographical, political and social outlines of the annexed nation are being constantly redefined, as the battling powers in Rome attempt to seize control of the Empire. Flavius Vitulasius and his trusted associate, Siward, are journeying to receive a highly confidential mission, across the narrow sea, from the Master of Offices in Gaul. On their path, they stumble upon a seeming damsel in distress, her carriage under attack from bandits. Using all their prowess and experience, Flavius and Siward rescue the damsel from certain death. Nevertheless, the beautiful young lady, Corellia Velva, is not as she seems. When Corellia slips away the following night, Flavius thinks nothing of it. He has orders passed down from the Emperor himself to attend to. A document, the ‘Pagan Concord’, threatens to pull apart Britain at the seams, creating the lurking fear of civil war between the Christians and Pagans. If Flavius and Siward can recover the ‘Pagan Concord’, they will be able to unmask the conspirators behind the unrest. With the help of an ardent Christian, Lucius Aurelius, the trio commence their enquiries in a clearly divided Britain. However, their expedition takes an unexpected turn when they visit the town of their first suspect. Once again, they come across Corellia. She fervently denies any knowledge of Flavius and Siward, suggesting that it is a case of mistaken identity, prompting suspicion from Flavius. The disquiet among Pagans soon becomes clear, as ritualistic sacrifices and mysterious disappearances soon become the norm, while Flavius attempts to track down the ‘Pagan Concord’ and save the country of his origin. It is not long before he has some unwelcome attention, as murderous villains stalk his every move. Can Flavius locate the document in time? Is there more to Corellia than meets the eye? Can he escape the clutches of his murderous pursuers, and uncover a conspiracy that goes right to the top? 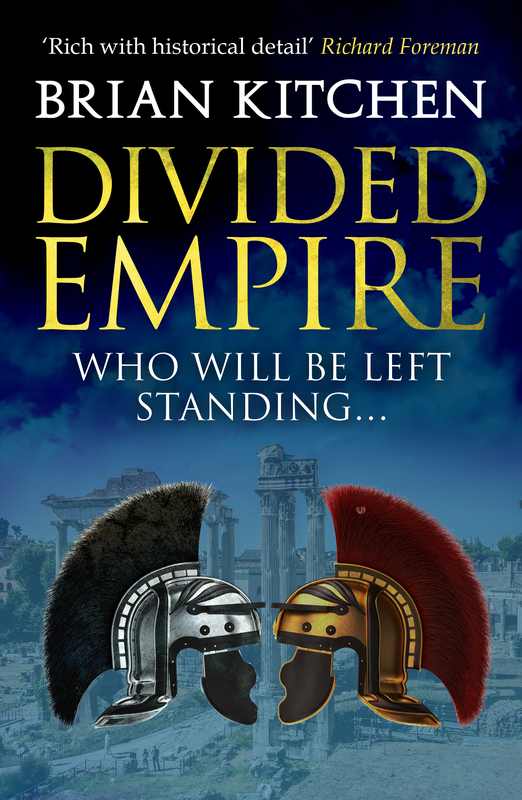 Divided Empire is a compelling piece of historical fiction. The first in the series, there is an unexpected twist around every action-packed corner.